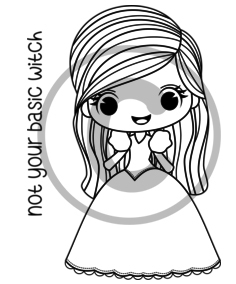 Hello everyone:)Eunji here.Today I am making a princess card using our Glinda - Not Your Basic Witch, Land of Oz sentiments.Let's look at my card. I started stamping a princess image stamp on maker paper with Memento 'Sand desert' color ink. Then fussy cut leaving thin white border. And printed a rose digital stamp on maker paper and colored with color pencil then fussy cut. A princess paper piece adhered to the card panel with foam tape and added aroses paper piece on around the princess. Splashed a light blue color watercolor on background. Lastly stamped a sentiment stamp and added liquid pearls. Thank you for visit oyr blog. I colored up the sweet image from "Alice - Life Full of Wonder" for my card today. The sentiment is from Jaded Blossom's "Wonderland Bundle" stamp sets. I used some sweet background paper from Doodlebug. The oval frame is cut from Jaded Blossom's "Stitched Oval Dies". 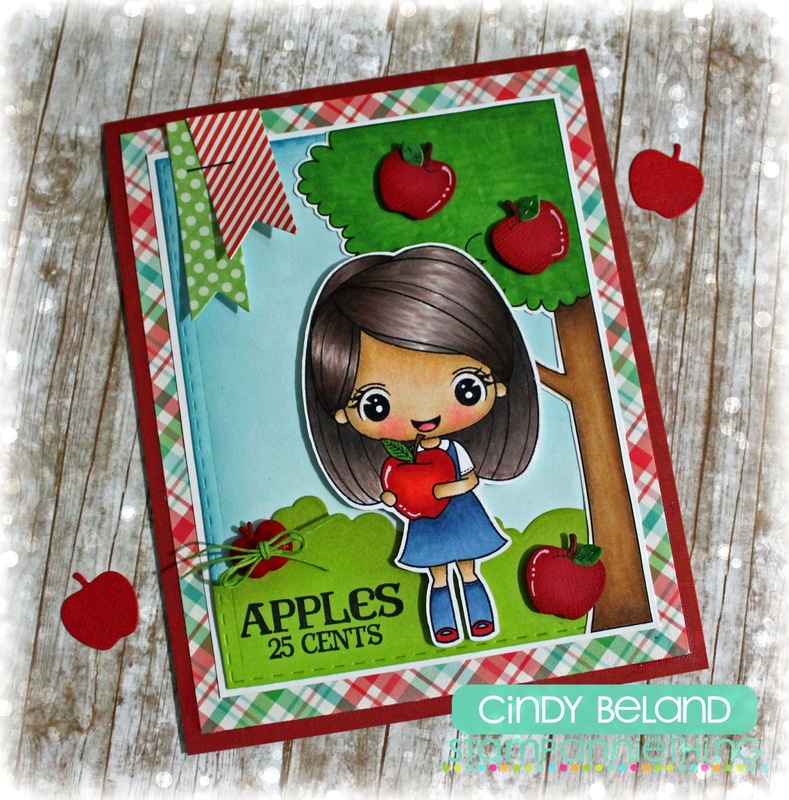 Hello Stamp AnnieThing fans, Michelle Houghton here from Scrapweaver.com I have another back to school cared to share today. I love the August release and needed to create one more card featuring these great stamps. 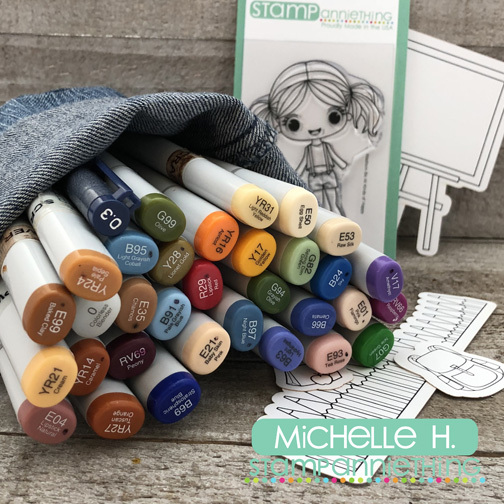 Besides I didn't break out any of the pre-printed die cuts at the start of the month and they are so fun and easy to color I wanted pull some out! And here are a couple views of the completed card! As usual I keep it really simple a few layers of fun patterned paper with my colored elements and done! Thanks for stopping by today. Make sure to keep watching the store for all sorts of fun new images and products! We have a release right around the corner and you are going to love it! It's Back to School time!!! Abigail is so sweet sitting on books!! 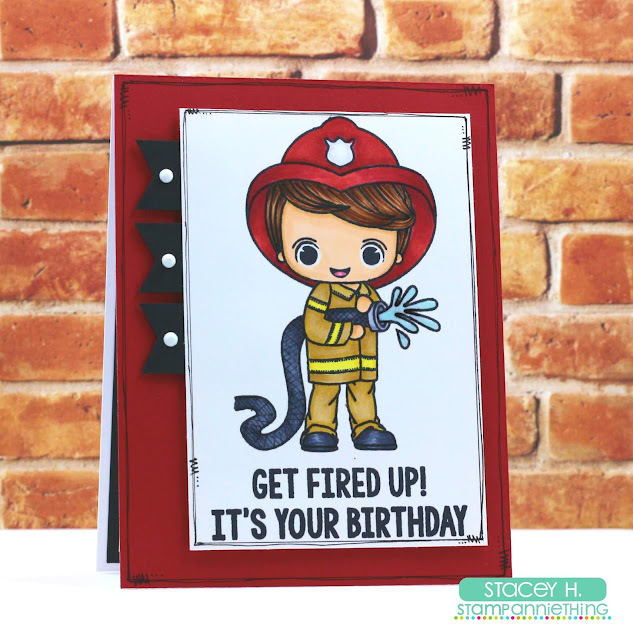 Stacey from Stacey's Creative Corner with you today to share a birthday card that I made using one of those super cute stamps from Stamp Anniething. I colored Kevin - Blazin Good Day with my Copic markers and added a greeting from Jaded Blossom underneath him. I trimmed my image panel and added some doodling around the perimeter. I notched the ends of some black cardstock pieces and added them to my panel and popped the entire piece up onto my card base with some foam tape. I added some doodling to the card base and some white nuvo drops to finish off my card. Hi everyone! It's Meg here with you today, and I've got school on my mind. If your kiddos haven't already gone back, they are just about ready to, so I had to create a back-to-school design! For my card, I used my back-to-school girl, Chloe - Got Class, and paired her with the new Shooting Star Label die. If you want, you could always put the sentiment in the label, like a little chalkboard. In order to build my card, I first inked up the background lightly using Twisted Citron Distress Oxide, then layered up the die and Chloe. What I love about the Shooting Star Label die is that you've got a guide as to where to put all the shoots and stars, and the ending result can end up being quite spectacular!! Have you got class?! Hope the year starts off well! Welcome to our Lets Camp Out THEME release!!! at Stamp Anniething!!! For today I made a fun card for the card swap!! Jaded Blossom I used Fall Banner Dies for the apples, the Rectangle Dies 1 for the bottom layer, the Flag Dies with the Flag Dies 2 for the banners and the Harvest Signs for the sentiment. 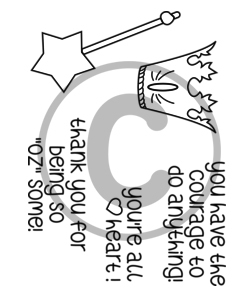 thank you for being so "Oz" some!! Stencils, Oxide inks, and Water...Oh My!